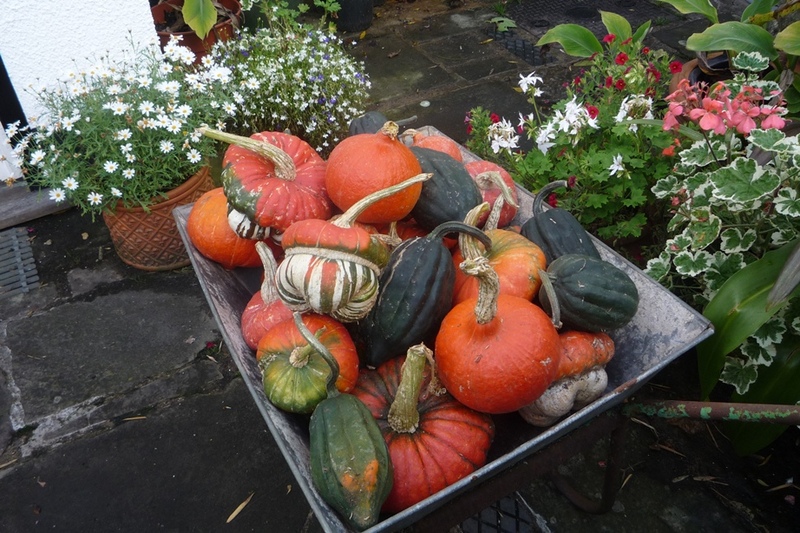 Courgettes and squash are known as cucurbits. Cucumbers are from the same family and can be propagated in the same way. I like to sow seeds from the end of March, two, on their edge in a 3” or 4” (10cm) pot in my propagator at a temperature of 20 degrees centigrade. A sunny windowsill in a warm room will do just as well. Keep the soil moist but not soaking wet and the first seedlings should emerge after a few days. Remove the weakest plant. 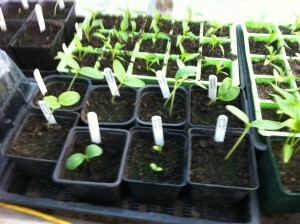 After about four weeks the seedlings should have four true leaves and filled their pots with roots. They are now ready for planting out. 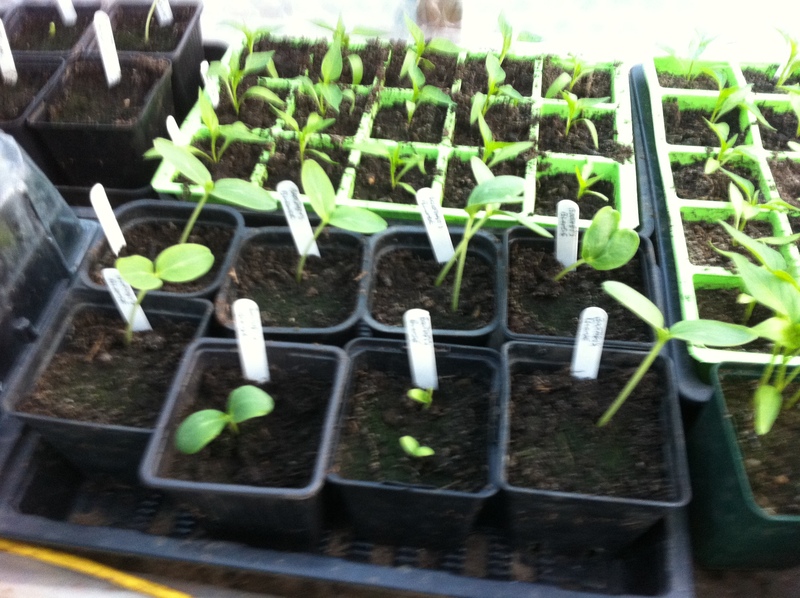 I like to transplant under a cloche rather than harden the young plants off first in a cold frame. 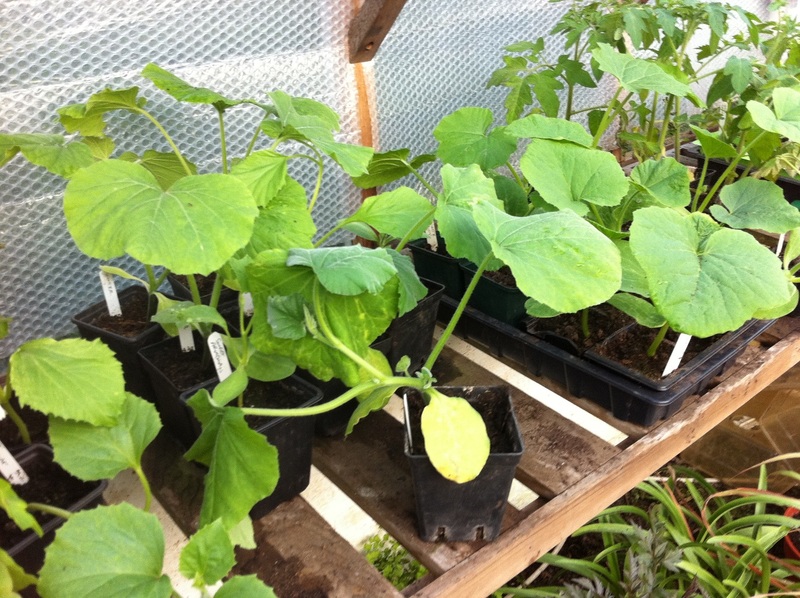 Cucurbits like lots of room to grow so I space courgettes at least three feet (1 metre) apart. Squash are trailing plants and can grow to vast sizes so a planting of between three and six feet is fine. 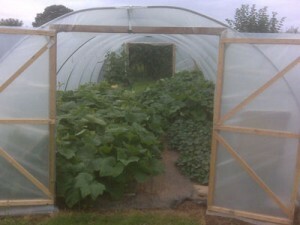 The squash I grow in my polytunnels can put on up to 10 inches (25cms) of growth in a single day. 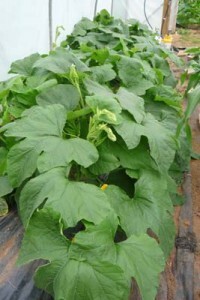 I like to plant cucurbits through black polythene or weed membrane. This helps to conserve moisture and supress weeds. Cucurbits are thirsty plants and need to be kept moist at all times. 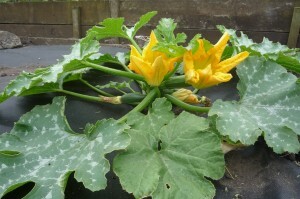 It is important to pick courgettes frequently to encourage more flowering. Cucurbits have both male and female flowers which need to be pollinated for the fruits to grow. The female is easy to recognise because there is an embryo fruit at the flower stem, whereas the male flowers are on plain stalks. Bees love these flowers. I like to grow some squash in my poly tunnels in order to get a heavy crop and to avoid the dangers of a cool English summer. Cucurbits like heat and humidity to do their best, which is why a polytunnel is the ideal growing space. Cutting back of excess growth from July onwards to enable each plant to develop six or more fruit is a good idea.